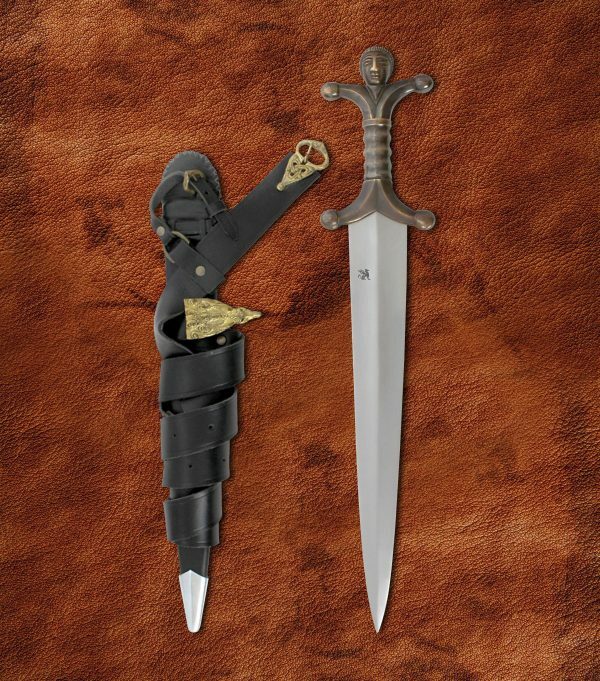 The tale of “Leonidas and his brave 300” has inspired many works of fiction, including poems and in recent years films and novels. 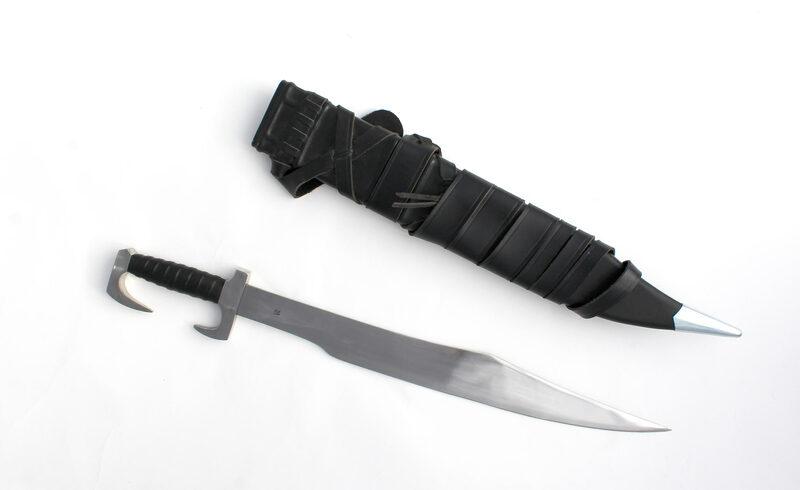 One of the most famous is the 1998 graphic novel “300” by Frank Miller. The tale of “Leonidas and his brave 300” has inspired many works of fiction, including poems and in recent years films and novels. One of the most famous is the 1998 graphic novel “300” by Frank Miller. This work featured a unique artistic style that was adopted into a 2007 film by the same name. 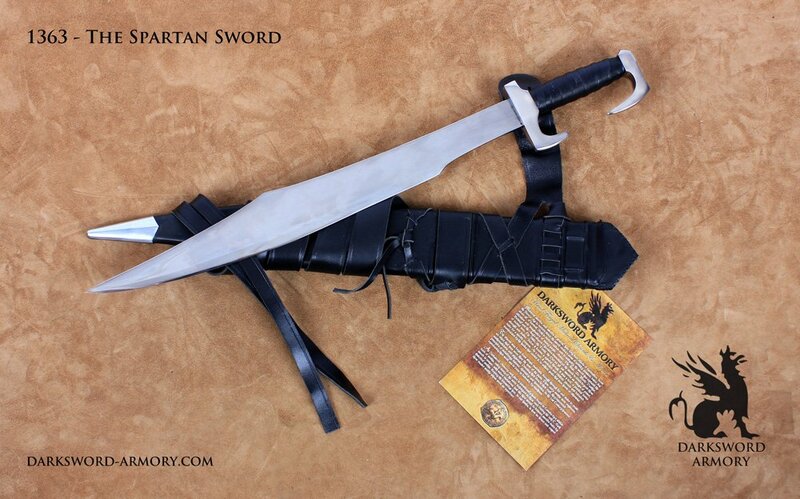 The battle ready swords used by the Spartans in the film is not historically based but still has managed to become an extremely popular among purveyors of fine quality swords. 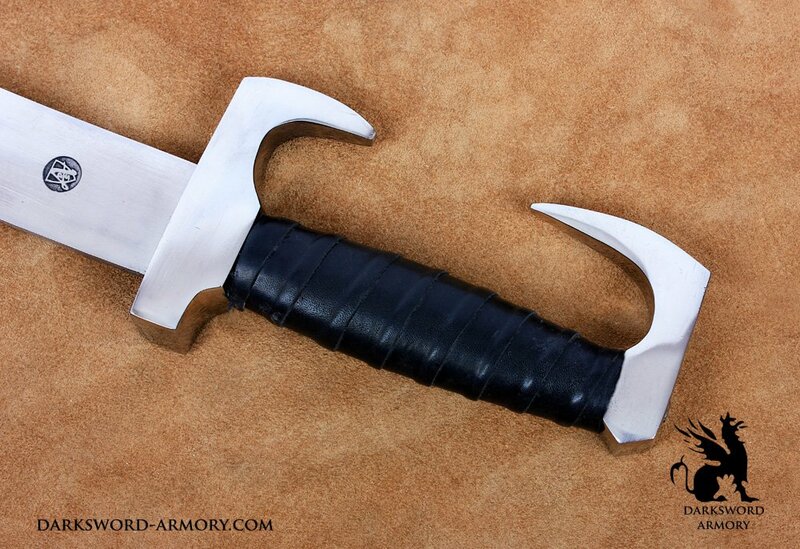 The Spartan sword is short and single edged. 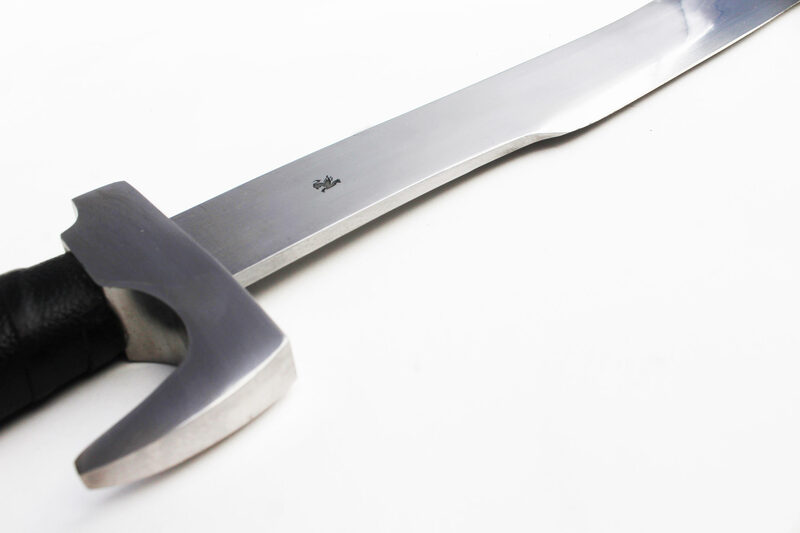 Narrow at the shoulders and widening towards the tapered and curved tip. 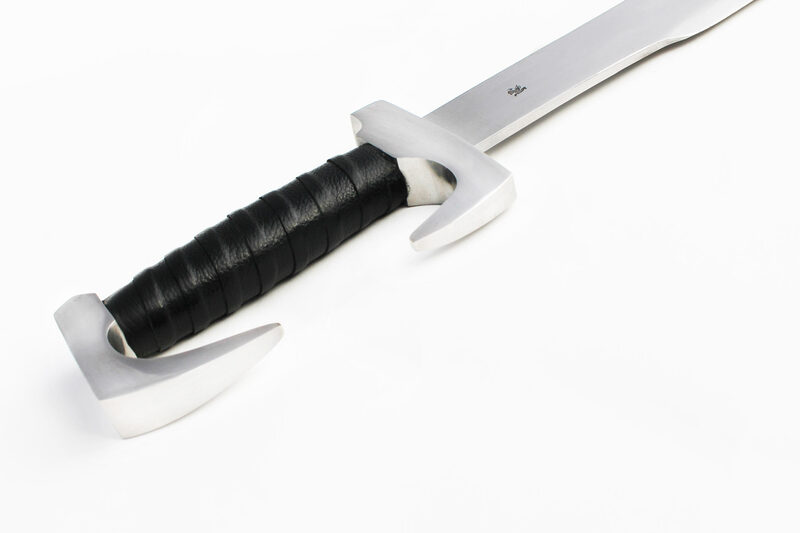 The unique looking curved guard and pommel provide partial hand protection. 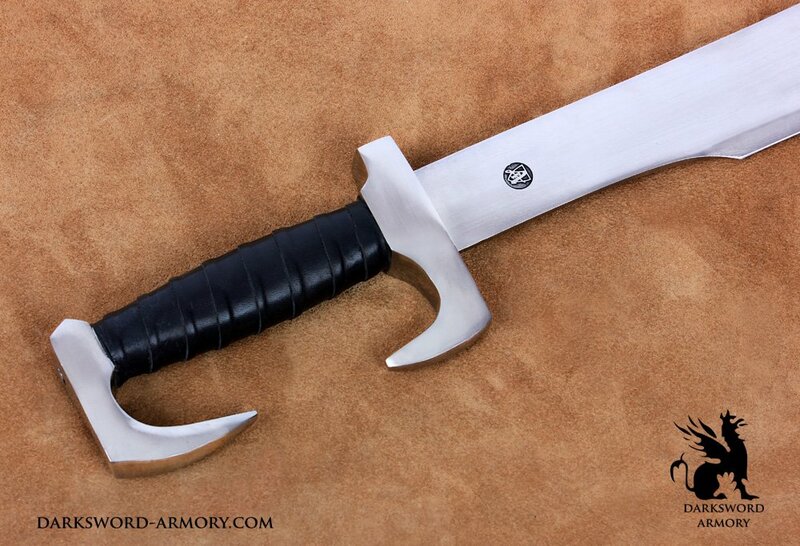 This blade may not be a historical model, but would be deadly in the hands of any Spartan. 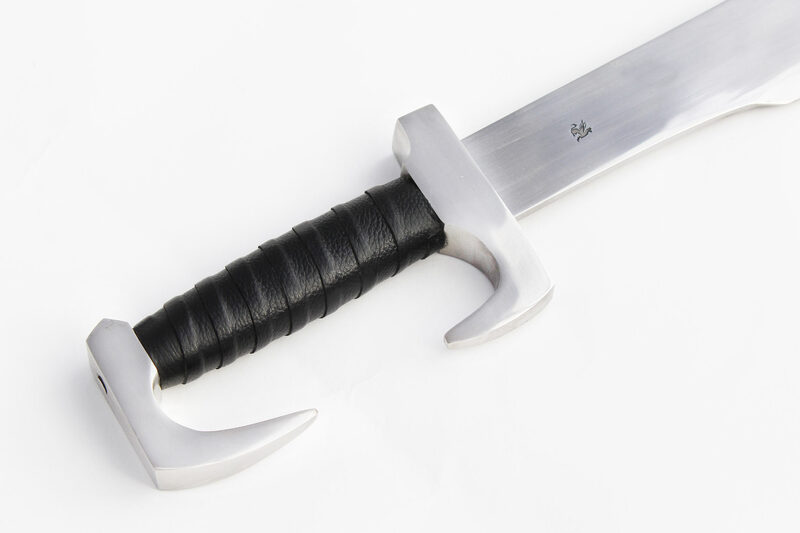 The Sparta medieval sword is a very slick and manoeuvrable medieval sword. 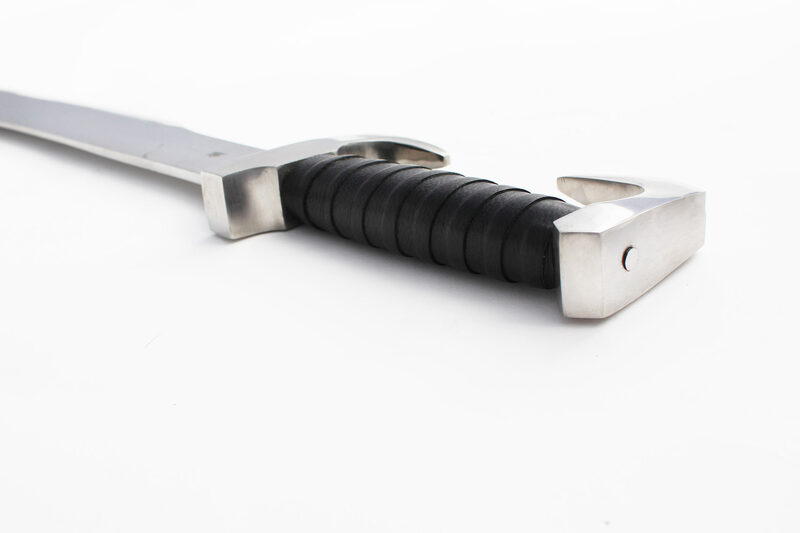 Perfect for close quarter combat, the battle ready sword can deliver quick cuts and thrusts. 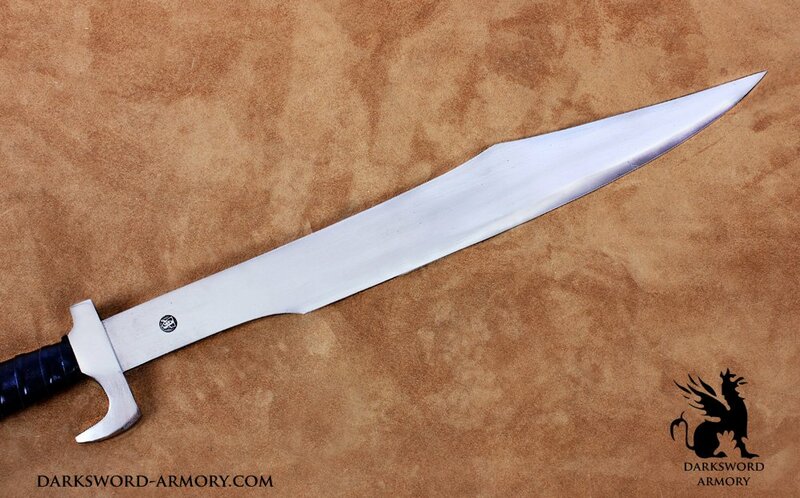 The short rigid blade offers an exceptional balance despite the width while the sharp tip can delivers destructive thrusts.